It’s that time of year where gift giving is top of everyone’s mind. And sometimes figuring out that ultimate gift can be a little daunting. 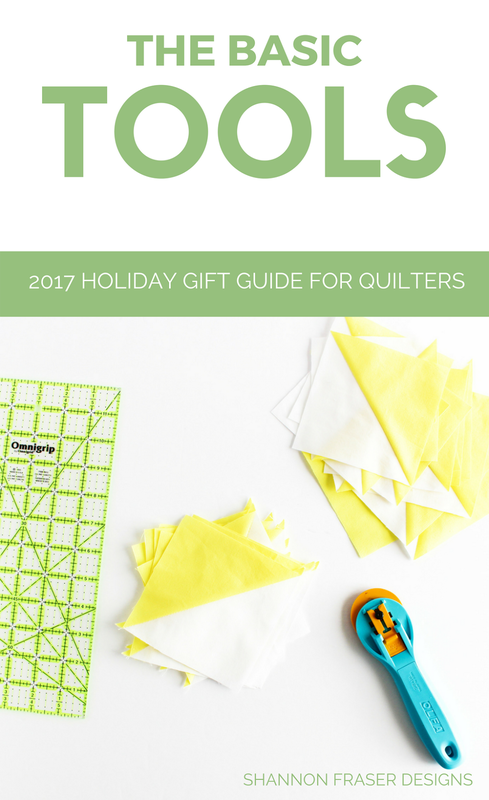 OK, a lot daunting if you’re a family member or friend trying to figure out what to give a quilter when you haven’t a clue what that really entails (I speak from experience here, and wound up getting a button making kit…). 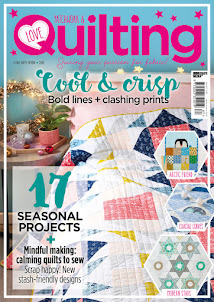 So, if you’re said friend or family member, read on for some top quilty gifts that will have your quilt lover jumping for quilty joy!! 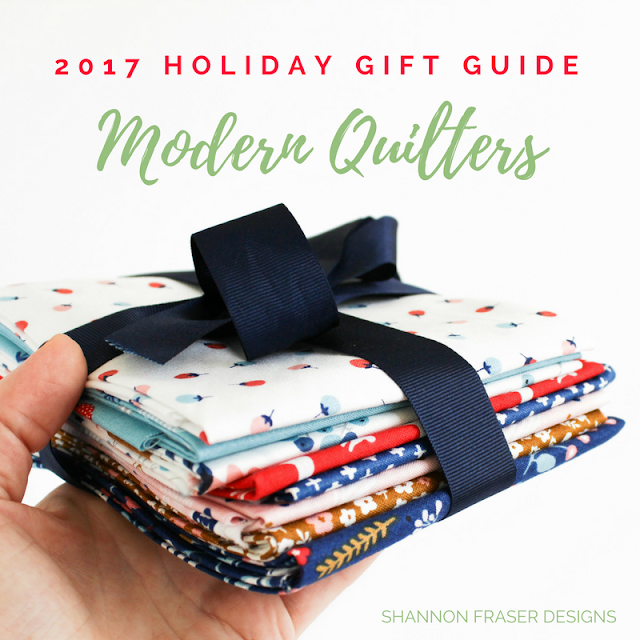 Now, if you’re said quilter, be kind to your family, significant other, friends, or strangers who just want to show you some love and spare them the struggle. Show them this list, sit back, relax and look forward to some epic quilty good times in 2018! 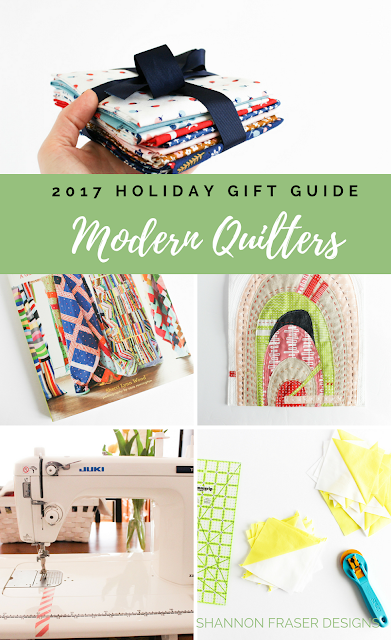 The world of quilting is quite broad and there are gizmos and gadgets ranging from a dollar to well into the thousands. The following guide tries to hit most price ranges to accommodate as many budgets as possible. A quilter would be nowhere without fabric. But those textile goodies don’t come cheap and quickly rack up a bill when tackling a quilt project. 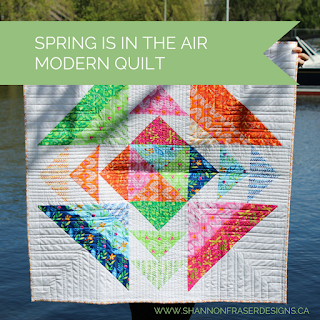 Since buying fabric is one of the BEST things for a quilter, let’s not take that fun away! 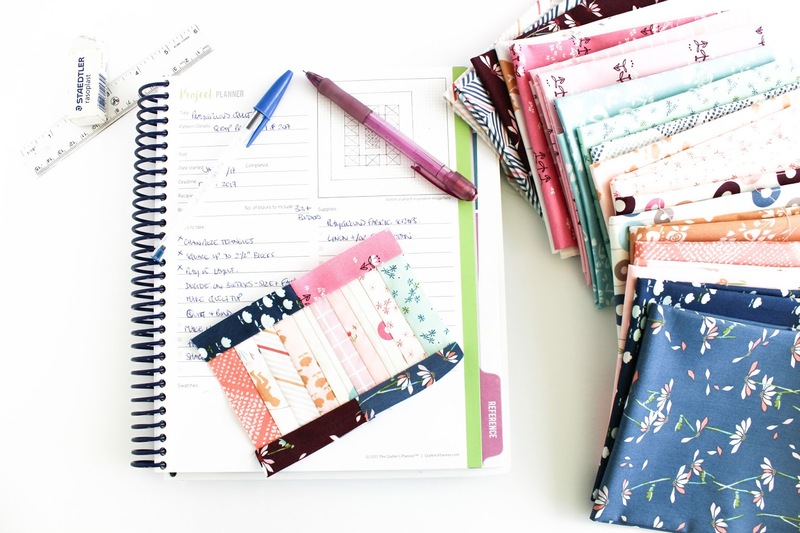 Unless, of course, you’ve heard your quilt lover raving about a certain line of fabric that they just CAN’T live without, then by all means run out and get said fabric bundle! Otherwise, figure out their favourite quilt shop and get them gift certificates. This one is not really an obvious purchase. I’ve heard time and time again from quilters that they would LOVE to have colour cards, but they find them expensive and prefer to use their money for, you guessed it, fabric!! But, for those of us that have taken the plunge, they are AMAZING tools to have in a quilter’s tool box. They make planning a project a breeze. 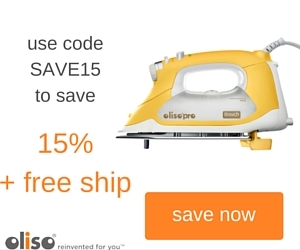 They also make buying fabric online much easier. See, the swatches shared online are often misleading. I’ll spare you the number of times I’ve ordered a fabric online thinking it matched my colourway, only to get it in the mail and it was TOTALLY wrong. My quilty friends get the pain and suffering this causes. 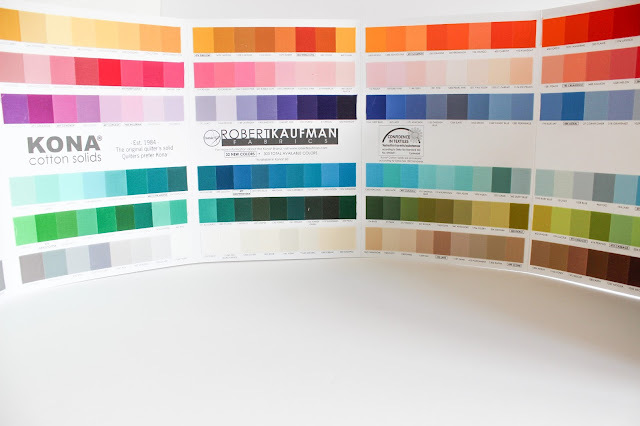 So, do them a solid and pick up the colour charts of the fabrics they use the most often. Surely, you’ve heard them rattle on about Kona this, or Cloud9 that. Confusing jargon to you, I know, but essentials to a quilter. 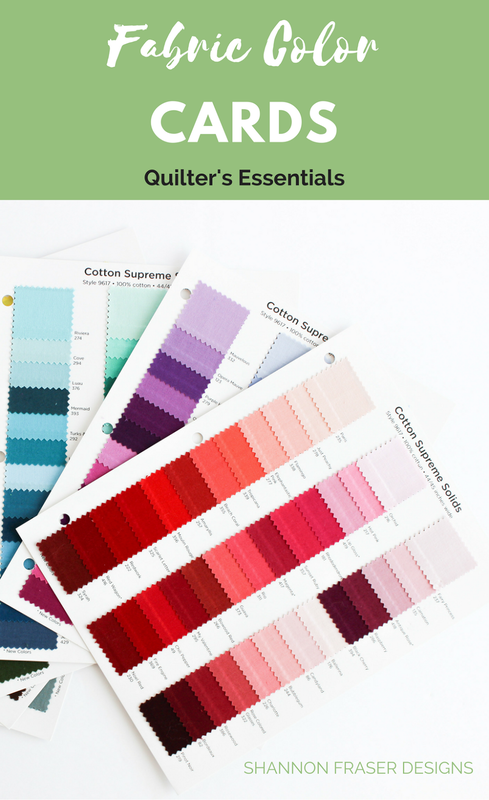 The most common is Kona Cotton – with a selection of 340 colours, your quilter is sure to find the perfect match for their projects. Moda Fabrics – Bella Solids or Grunge Basics. Riley Blake Confetti Cottons Solids or their Crayola ColorsConfetti Cottons Solids. 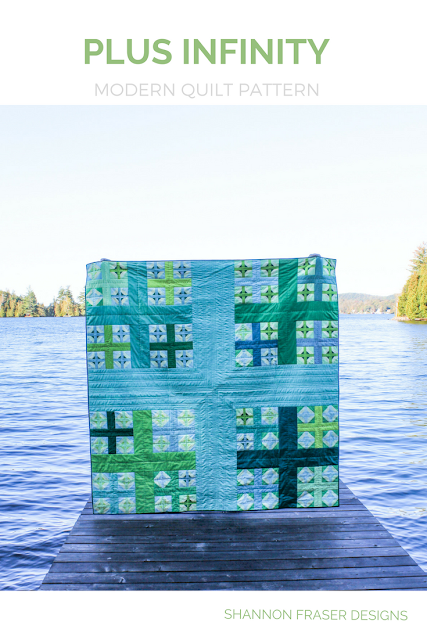 If you’re quilter is into organic cottons, Cloud9 Cirrus Solids is a great option. Don’t forget about the matching thread. 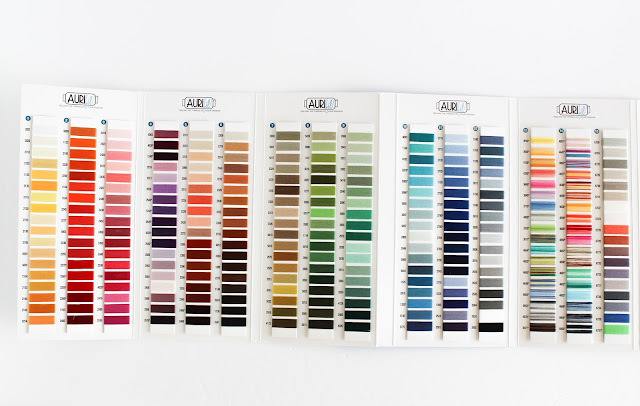 Aurifil is super popular and favoured by many quilters. For any big stitch hand quilting lovers, this DMC, Presencia Finca, or Wonderfil Sue Spargo Elegance charts are also perfect. Squaring up quilt blocks is a necessary, and unavoidable, evil in quilting. 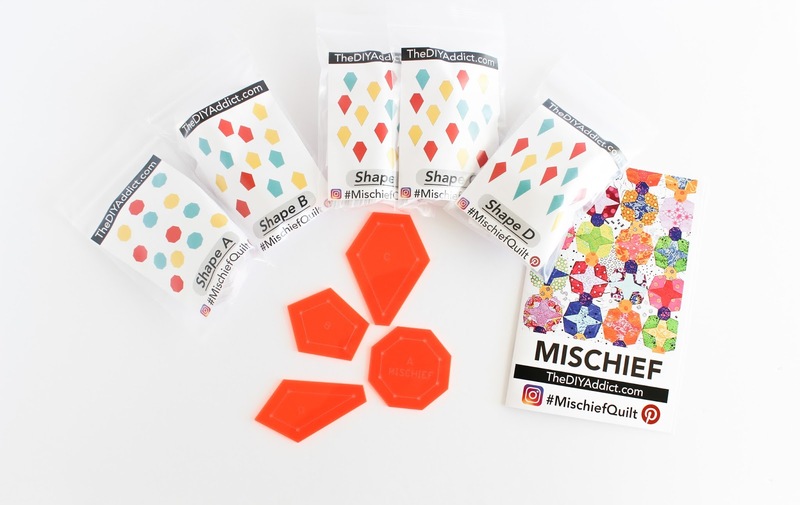 Make the process fun and quick with a rotating cutting mat. Yup, they exist! This one by Matilda’s Own has received rave reviews and looks to spin with ease (which is not always the case, trust me on that!). Might as well pick-up some new rotary blades while you’re at it, as we quilters tend to use them for FAR too long. And a new blade makes a world of difference. Think of it like using a dull chef’s knife – it’s WAY more dangerous than a freshly sharpened knife and tends to slip rather than grip. Same idea applies to rotary blades. The duller they are, the more times you have to pass over the same area to get a cut. There are a gazillion rulers out there. Seriously, Google quilting rulers and you’ll be inundated with ALL kinds of shapes, sizes and uses. Some are super specific, others are more general. This Stripology ruler would make prepping fabric for projects a breeze. Everyone’s raving about these Bloc Loc rulers. They’re supposed to make trimming a cinch. If they’re into circles and drunkard’s path blocks, this one and this one should do the trick. Or if hexies are their jam, the Hex-n-More ruler is a great option. This Glowline tape comes in some fun colours and makes marking rulers for cutting lines a no brainer. Plus, it doesn’t leave behind a sticky film. Not the fanciest or shiniest gift option, but basics are still nice to receive. And a quilter won't get very far without the essential cutting and measuring tools. Colouring books are also a great gift idea. They can be a great source of quilty inspiration. 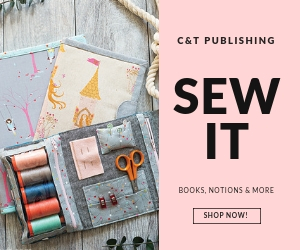 Connecting Threads and the Fat Quarter Shop have some great options. Whether digital or paper copy, magazines are the perfect way to see the latest trends, get project ideas and be inspired. Patterns are a great option that won’t break the bank. 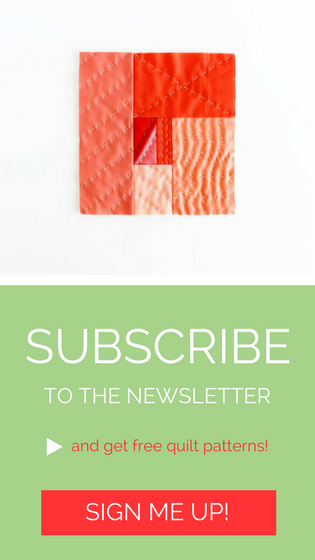 Plus, you’ll be supporting independent designers, which is always a win! 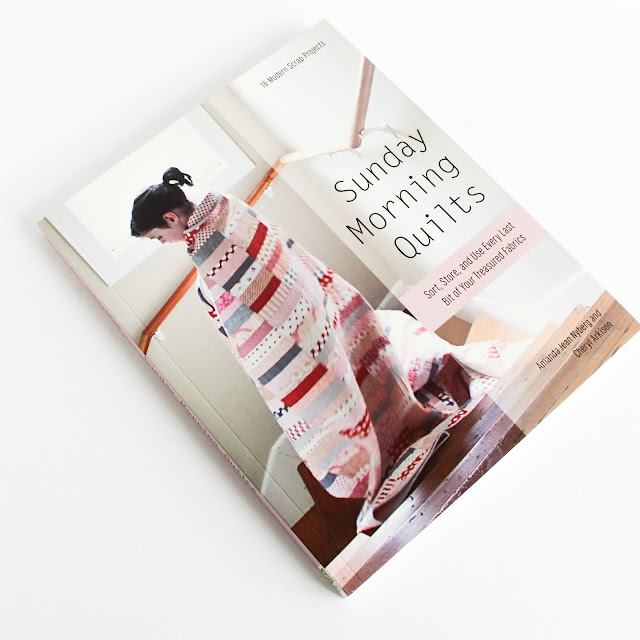 Emily Dennis designs patterns that are perfect for using up fat quarters and jelly rolls. We've all got them in our stash and this is a perfect way to feature them. Modern Handcraft offers unique modern quilt patterns. Her macaron one is quite popular. 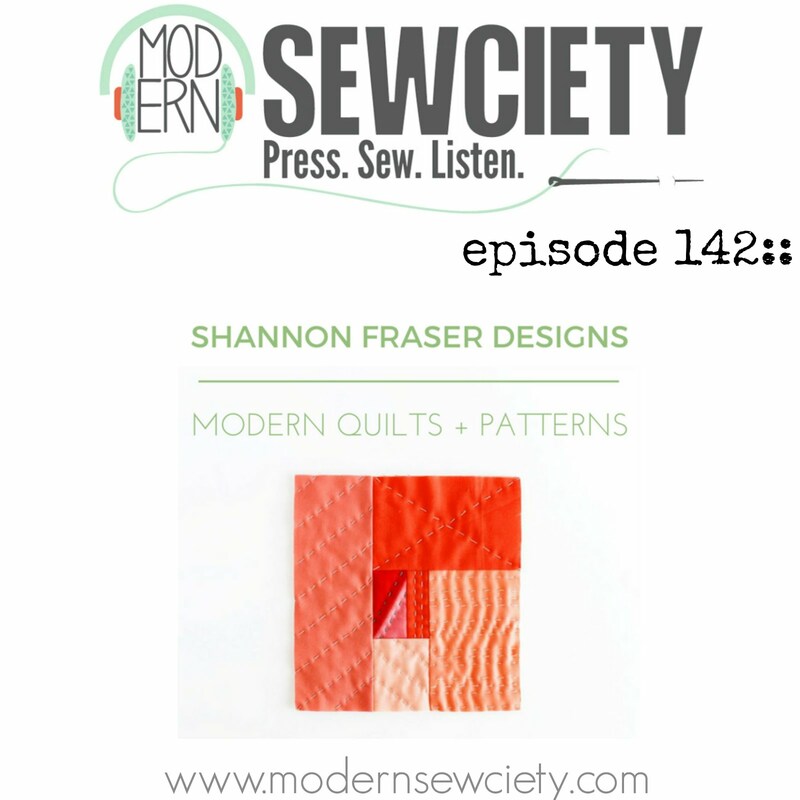 Shannon Fraser Designs (Yours truly 😉) patterns are visually bold, are easy to follow and create. 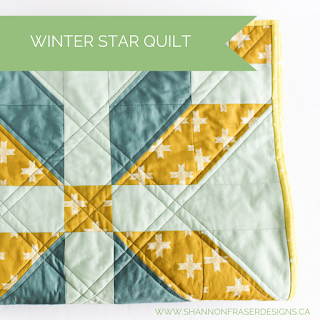 Perfect for both the beginner and more seasoned quilter. 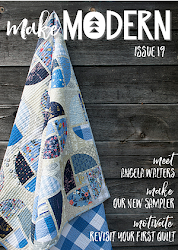 Suzy Quilts designs gorgeous modern quilt patterns that pack a visual punch. 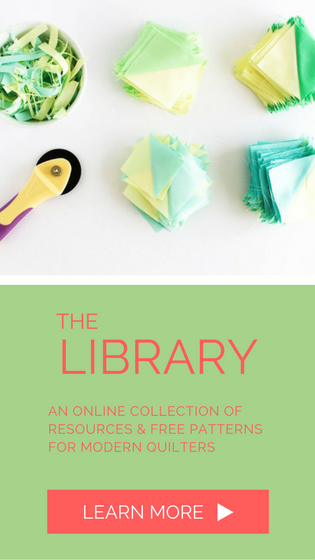 The DIY Addict patterns are perfect for the English paper piecing lover. 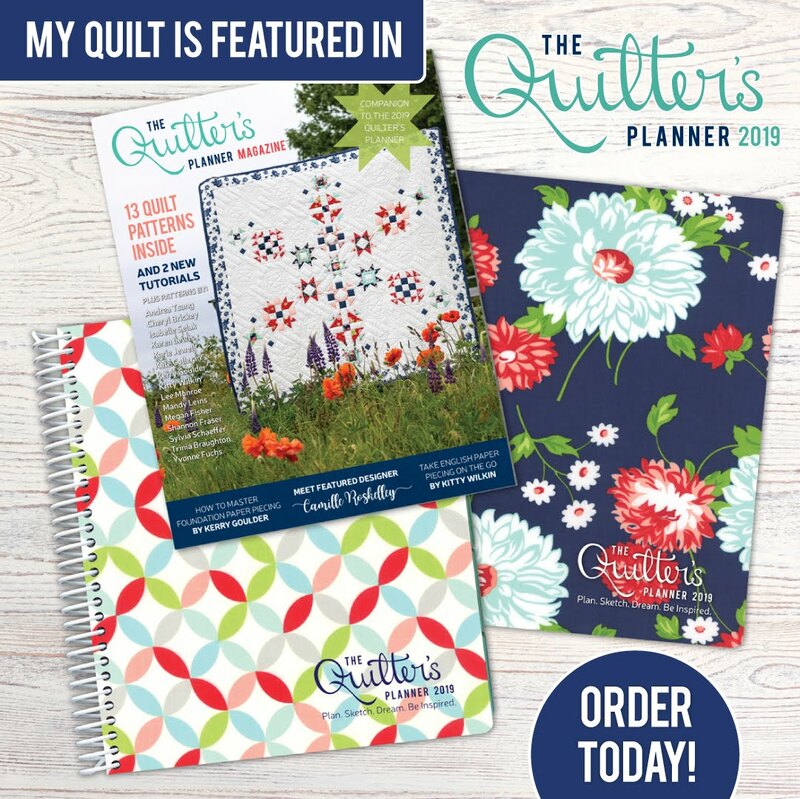 The Quilter’s Planner is an awesome tool to stay on top of all the works in progress (WIP) your quilter is sure to have on the go. Plus, this planner comes chock full of patterns, tips on free motion quilting and 15 coloring pages designed by Alison Glass. Not everyone can attend workshops and classes, so the next best thing is to get them a subscription to online classes! 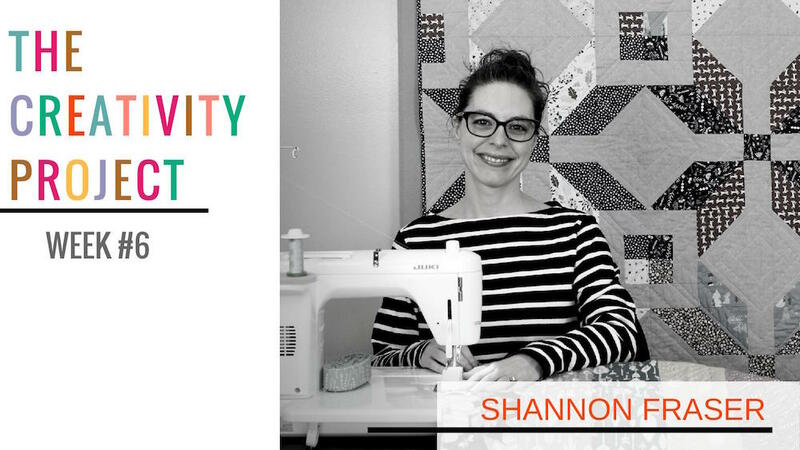 Craftsy has a huge selection of classes, not just for quilting, and you can get them an unlimited subscription which gives them access to their entire database! That’s a lot of knowledge! 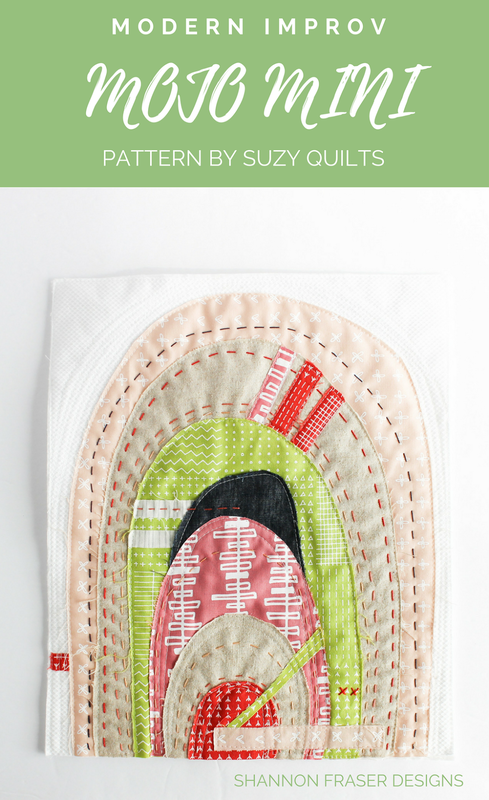 A popular recent release is Suzy Quilts’ Mojo Mini series. 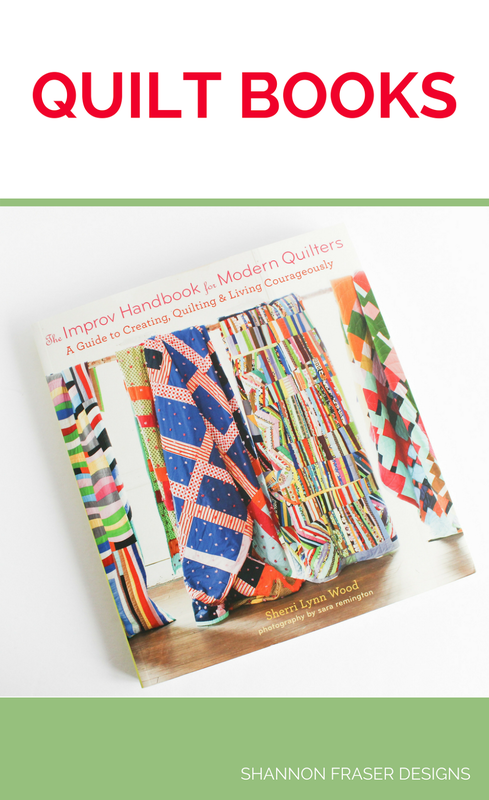 Anyone looking to get into improv or learn hand quilting techniques would LOVE this class set. Here’s an example of one of the projects they’ll make (this is my version of Mojo Mini version 3 that is featured in the class). A quilter wouldn’t get very far without the ultimate essential – the sewing machine. This is a whole category in of itself and can be completely overwhelming. Singer – I started off sewing on a Singer Inspiration, which is essentially one of the least expensive sewing machines I could find at the time. I sewed and quilted with her for several years and she was a workhorse. I will say, her smaller throat size was a little tough to quilt larger quilts, but I made it work. 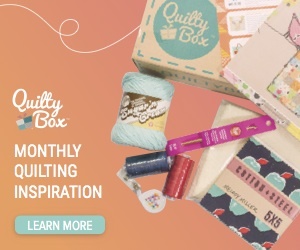 If your quilter is just starting out, this would be a great place to start. Juki TL-2010Q – is an amazing option for a beginner or more seasoned quilter. But it only does a straight stich. So, if they like to venture into other projects other than quilting, I wouldn’t go with this option. But I love my Juki and thank her every day for the beautiful quilts she helps me create! 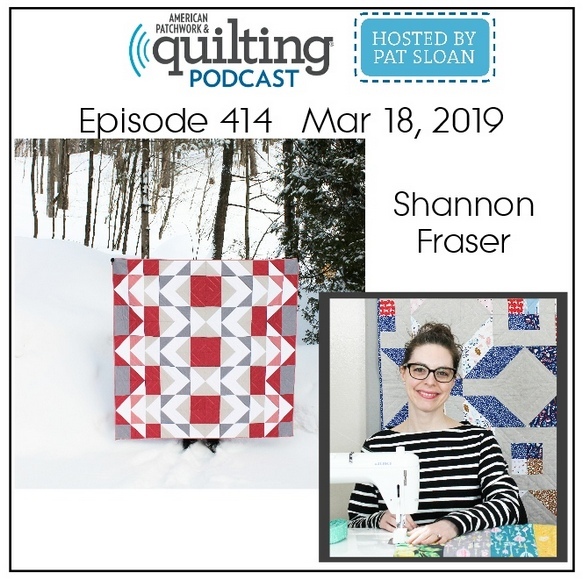 Janome Horizon – this is a beautiful machine that many of my quilty friends have and swear by. If you’re looking to splurge a little, this would be an excellent option. 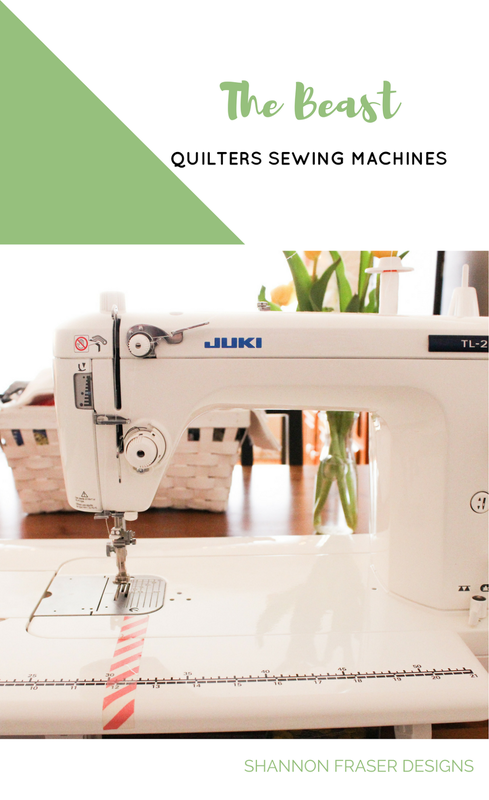 Bernina 770 QE – this is the Cadillac of all sewing machines. 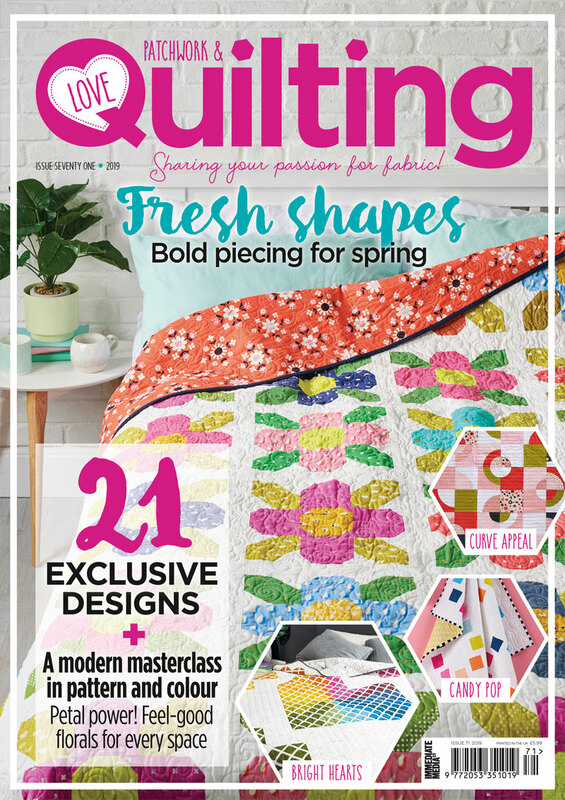 It’s got ALL the bells and whistles and will have your quilter quilting up a storm. The one amazing feature that I am longing for is the bobbin running low indicator. It’s like a gas gauge for your bobbin. Genius! I don’t know of any quilter that wouldn’t LOVE a trip to QuiltCon. The mecca of all modern quilt shows! 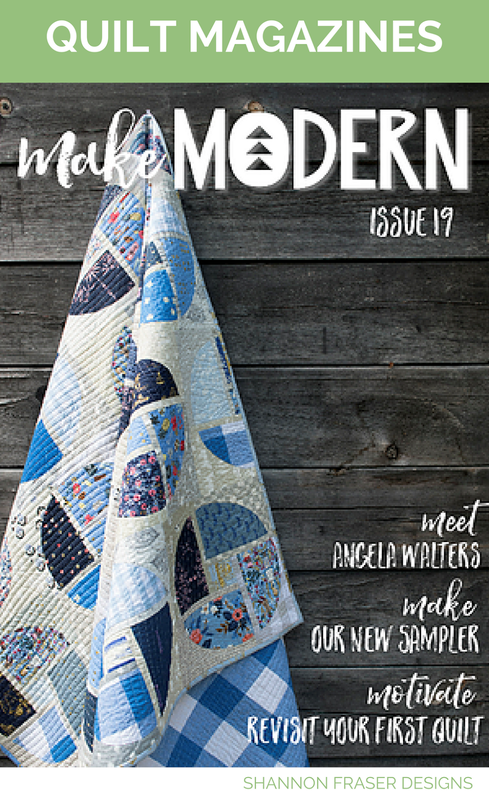 They can get lots of eye candy from the thousands of quilts on display, get a little shopping in and pick-up some of the latest offerings from retailers and sign up for a class with some truly remarkable talent in the industry. Not cheap, but if you can swing it, they will ADORE you for years to come. And just may make you a quilty treat of your own to thank you for your kindness and generosity. I’ve got a whole other list dedicated to stocking stuffers, so stay tuned for that! Have a gift idea that you think we should all know about? Share it in the comments below!! That's quite the list you put together! I need a new machine and I've been considering two of the ones you listed. It's hard to decide, because if I spend that much $, I want to be sure it's the right machine for me! Oh, I totally get the struggle! I pondered my options for well over a year before taking the plunge. I'm super happy with my machine, but can't help already wanting to add another one to my repertoire. I love the idea of always having two machines set-up. You know, to make working on my WIP pile that much easier 😉 Can't wait to see which one you decide to go with!